The global ban on liquids began in 2006 after a terror plot to bring down planes using explosives hidden in drink bottles. 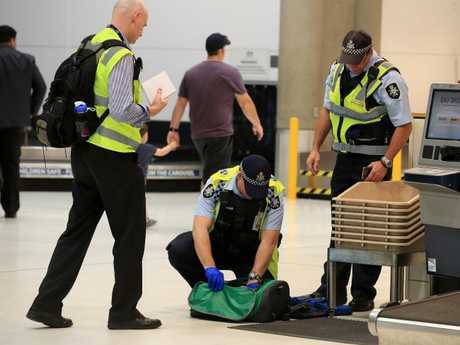 INTERNATIONAL restrictions on carrying liquids on to aircraft in Australia could be eased with trials of new X-ray technology to detect explosives or other threat-assessed products being taken by passengers as carry-on luggage. The 12-month trial of 3D computed tomography (CT) scanners is being conducted now at Heathrow Airport in London, Schipol in Amsterdam, John F Kennedy in New York and air hubs in Boston and Baltimore but Australia has joined the trial discussion at a Five Eyes security level. 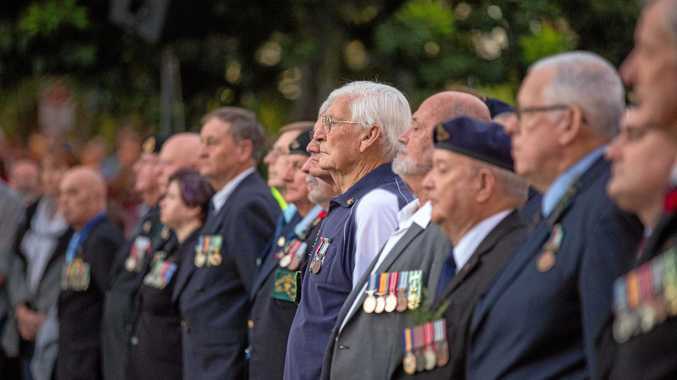 Five Eyes is an intelligence alliance Australia shares with the US, UK, Canada and New Zealand largely for joint co-operation in electronic surveillance but broadened in recent times to include high-level security threats. Sources have told News Corp Australia authorities were now "closely engaged" in the evaluation of the adapted new technology but stopped short on confirming similar trials were already also being conducted here and major airports were planning on purchasing the scanners, worth about $350,000 each. "Advanced screening technologies are under constant review and our alliance ensures that these sort of aviation security trials is an area of discussion we are actively involved in," one source said. The worldwide ban on liquids began in 2006 after a terror plot to bring down up to 10 transatlantic flights using explosives hidden in 500ml Lucozade and Oasis drink bottles. 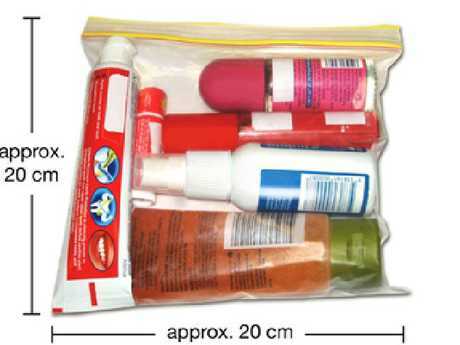 Since then restrictions have included a limit of 100ml in transparent plastic bags; restrictions were increased in Australia last month to include inorganic powder carrying maximums of 350ml and or 350 grams per passenger to be presented separately for international travel screening. 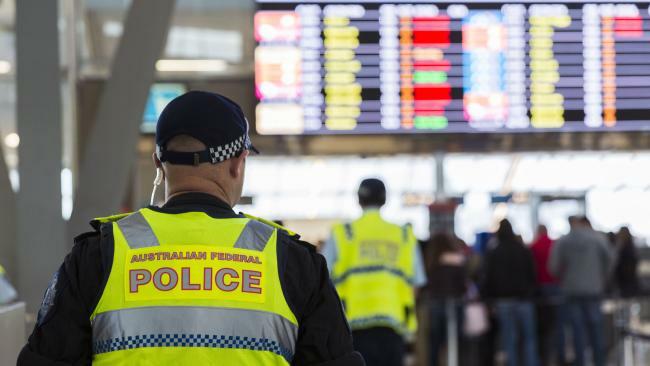 The measure was introduced in the wake of the alleged Islamic State plot to bring down a Sydney to Abu Dhabi Etihad flight in July last year. A 12-month trial of 3D computed tomography (CT) scanners is being conducted at London’s Heathrow Airport. 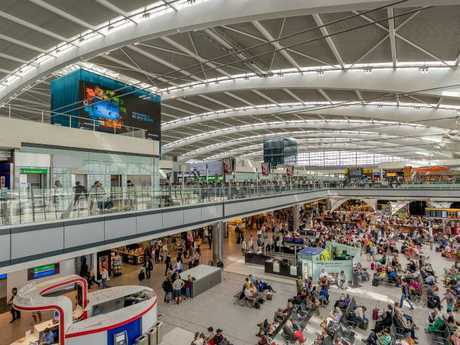 British and American authorities have confirmed the new 3D imagery trials, to last between six and 12 months, have now begun and if successful could lead to passengers no longer having to remove items from hand luggage such as laptops, tablets and liquids. The CT scanners are similar to the ones used at hospitals and can capture items and then allow airport security screen operators to turn the image over and around to view it from all angles. Larger versions of this are already in use to scan hold baggage. 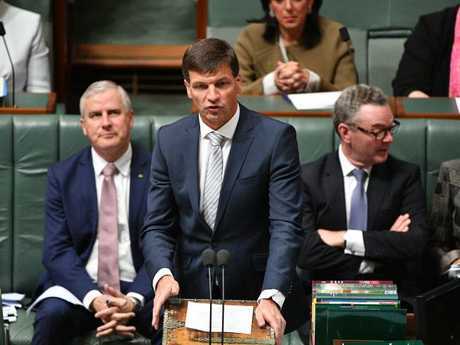 Minister for Law Enforcement with responsibility for aviation Angus Taylor said on Tuesday for security reasons what was being done at airports could not be confirmed but Australia always worked with partners to "stay ahead of emerging threats". "The Government works closely with airports to ensure the full benefits of new technologies are realised," a spokeswoman for the minister said. "The security environment is constantly evolving and as good practice we review what items can and cannot be taken on an aircraft … our first priority is to keep Australians safe and secure." She said the 2018-19 Budget included a $294 million package of measures to strengthen security at Australia's airports including unspecified advanced screening technologies.